Views from Our Shoes edited by Donald Meyer. 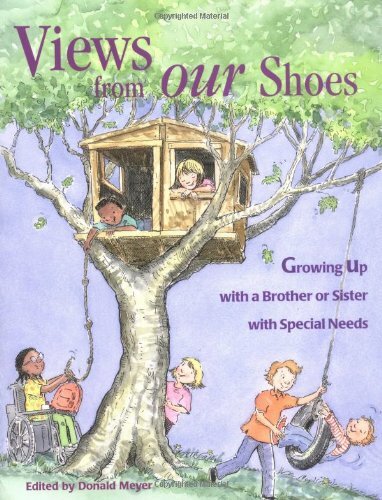 In this book, 45 siblings share their experiences as the brother or sister of someone with a disability. Their personal tales introduce young siblings to others like them and allow them to compare experiences. A glossary of disabilities provides easy-to-understand definitions of many of the conditions mentioned. Pp. 114.